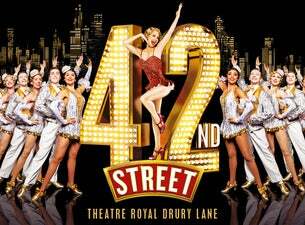 Lulu has returned to the West End to join the cast of 42nd Street in the iconic role of Dorothy Brockfor a limited 16 weeks only. Tom Lister and Clare Halse continue as Julian Marsh and Peggy Sawyer respectively, and will be joined by Ashley Day (An American in Paris) who takes on the role of Billy Lawlor. Winner of four Whatsonstage Awards including Best Musical Revival, 42nd Street is the song and dance, American dream fable of Broadway, featuring the iconic songs 42nd Street, We’re in the Money, Lullaby of Broadway, Shuffle Off To Buffalo, Dames and I Only Have Eyes For You. With the West End’s biggest cast, this is a 5 star musical like no other, entertainment doesn’t get bigger than this.